Supporting diversity in mainstream media, the Manhattan Chamber of Commerce awarded a Community Benefit Grant to the Asian American Film Lab for 2015 programming devoted to the promotion and support of ethnic and gender diversity in media. NEW YORK - Dec. 4, 2014 - PRLog -- The Manhattan Chamber of Commerce (The “MCC”) has awarded the Asian American Film Lab (The “Film Lab”) a grant for its programming focused on diversity initiatives in the arts. This is the third grant The MCC has awarded the Film Lab since December 2012 and the funds constitute critical support for the Film Lab’s diversity, educational and outreach programming, which is generally offered to the public free of charge via live monthly programs and through the television series Film Lab Presents and online content on AAFL TV. “We are honored by this recognition and grateful to The MCC for its support of diversity and arts initiatives,” Film Lab President Jennifer Betit Yen said. The MCC is a non-profit member organization, which serves as a primary resource and help for small and mid-size firms doing business in Manhattan. The MCC represents the voice of over 100,000 companies in Manhattan and partners with over 300 diverse business organizations. The MCC supports the business community through advocating for positive business legislation, hosting 3-4 monthly networking events and seminars, expanding marketing opportunities and international outreach. 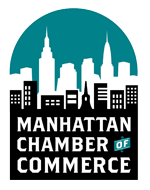 The MCC’s mission is to advocate for, connect and educate the business community in Manhattan. The MCC is also focused on providing opportunities for women and minority business owners (http://www.manhattancc.org/business_resource_guide/mcc_mw...), veterans (http://www.manhattancc.org/Business_Resource_Guide/Vetera...) and workforce development (http://www.manhattancc.org/business_resource_guide/workfo...). The Film Lab is a non-profit 501(c)(3) headquartered in New York City that provides free or low cost programming to promote and support ethnic and gender diversity in film and television. Its programs and newest production arm, AAFL TV, have been featured on CUNY TV (http://youtu.be/NwHXHD00YIM), NYCLife and CrossingsTV. Film Lab’s programming includes filmmaking workshops with industry professionals, screenwriting contests, public performance readings, and film competitions including the annual 72 Hour Shootout, which has inspired hundreds of diverse filmmakers by helping nascent talent take brave steps towards a filmmaking career. For more information, please visit www.asianamericanfilmlab.org.